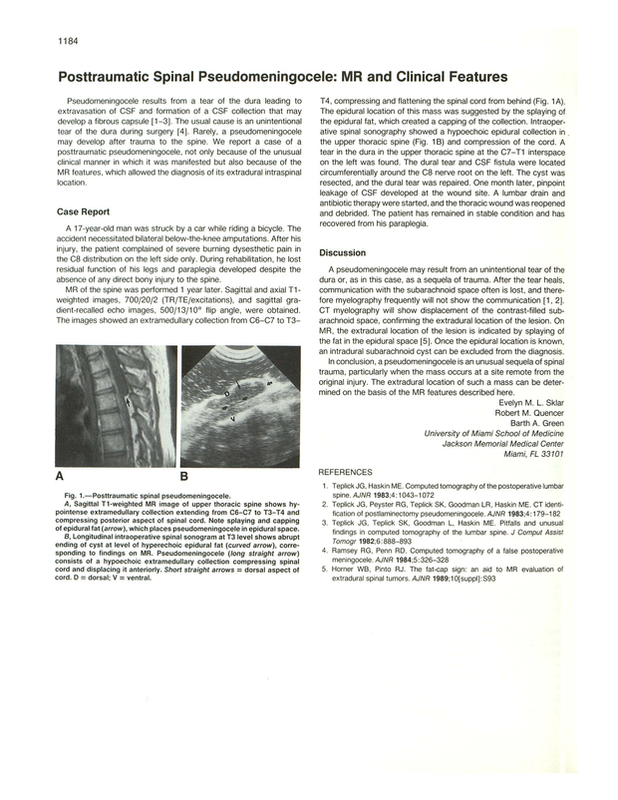 Posttraumatic spinal pseudomeningocele: MR and clinical features. University of Miami School of Medicine, Jackson Memorial Medical Center, FL 33101. You are going to email the following Posttraumatic spinal pseudomeningocele: MR and clinical features.